1X10^6 HeLa cells were stained with 0.2ug FOXO1 antibody (18592-1-AP, red) and control antibody (blue). Fixed with 90% MeOH blocked with 3% BSA (30 min). 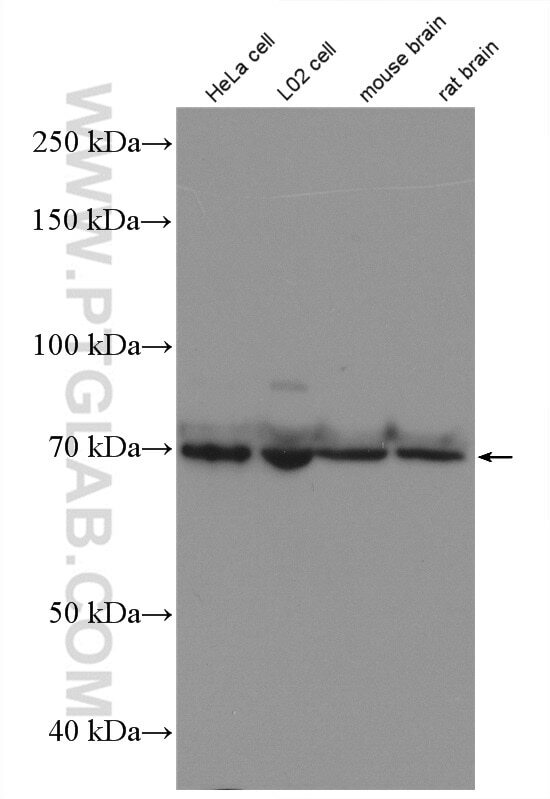 Alexa Fluor 488-conjugated AffiniPure Goat Anti-Rabbit IgG(H+L) with dilution 1:100. FOXO1, also named as FOXO1A, FKHR and FKH1, is a member of the FOXO subfamily of Forkhead transcription factors. FOXO1 is a transcription factor which acts as a regulator of cell responses to oxidative stress. 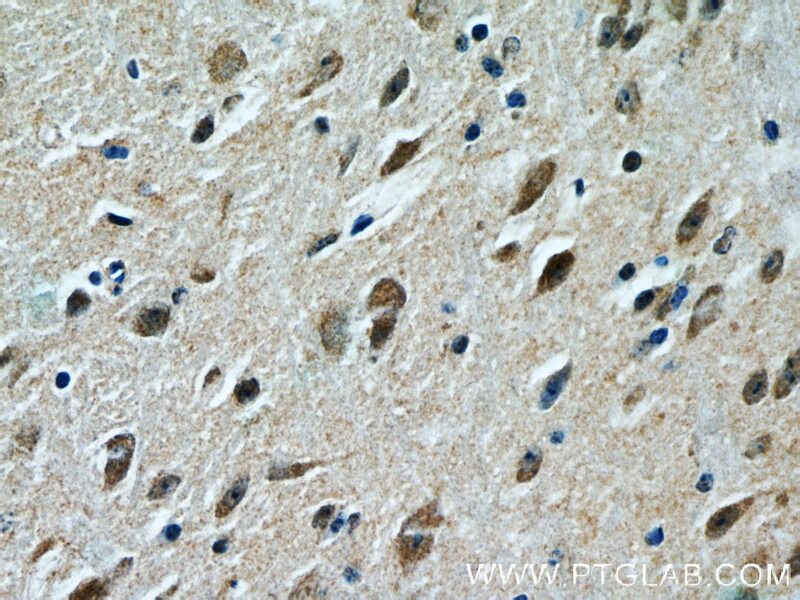 FOXO1 interacts with LRPPRC and SIRT1. In the presence of KIRT1, FOXO1 mediates down-regulation of cyclin D1 and up-regulation of CDKN1B levels which are required for cell transition from proliferative growth to quiescence. 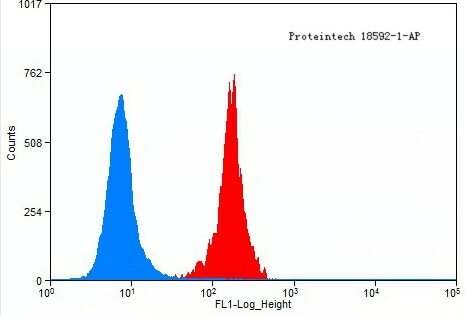 FOXO1 contains three predicted protein kinase B phosphorylation sites (Thr-24, Ser-256, and Ser-319) that are conserved in other FOXO proteins. The t(2;13) and the variant t(1;13) translocations generate PAX3/FKHR and PAX7/FKHR fusion proteins respectively. The resulting protein is a transcriptional activator. 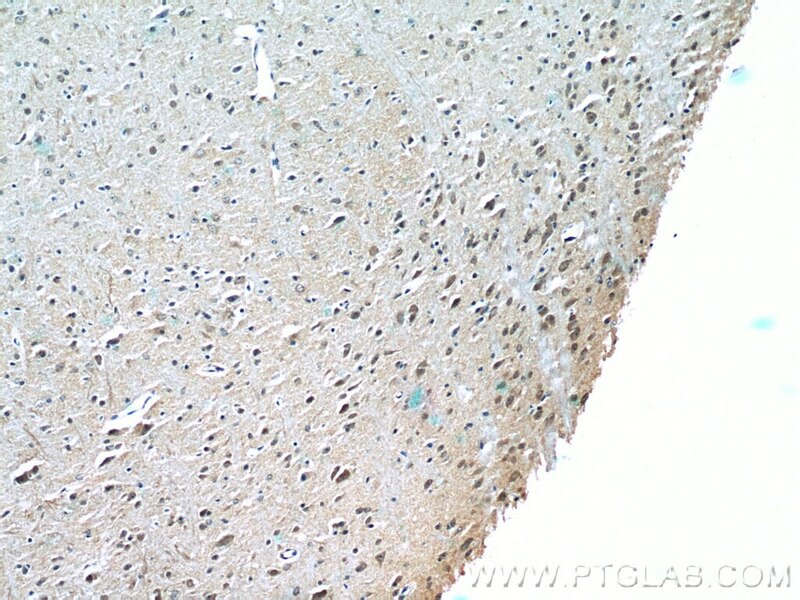 Defects in FOXO1 are a cause of rhabdomyosarcoma type 2 (RMS2). Caffeic acid phenethyl ester synergistically enhances docetaxel and paclitaxel cytotoxicity in prostate cancer cells. VAPB/ALS8 MSP Ligands Regulate Striated Muscle Energy Metabolism Critical for Adult Survival in Caenorhabditis elegans. MicroRNA-96 plays an oncogenic role by targeting FOXO1 and regulating AKT/FOXO1/Bim pathway in papillary thyroid carcinoma cells. RGD liposome-protamine-siRNA (LPR) nanoparticles targeting PAX3-FOXO1 for alveolar rhabdomyosarcoma therapy. Amino acid starvation-induced autophagy is involved in reduced subcutaneous fat deposition in weaning piglets derived from sows fed low-protein diet during gestation and lactation : Autophagy is involved in reduced fat deposition in maternal low-protein piglets. High glucose induces apoptosis via upregulation of Bim expression in proximal tubule epithelial cells.